FMB Hilliard 2008 from Ben Keller on Vimeo. 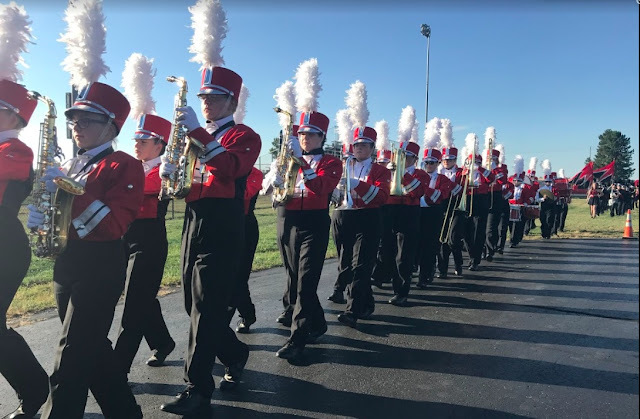 Here's the video of your performance on Saturday at the 2008 Hilliard Marchin Band Invitational. So, what do you think? Comments and constructive criticism are welcome. The last couple sections at the end of the middle movement are way too rushed. Musical impact and drill execution are the biggest things we need to work on. We're definitely capable of a I with this show. Middle movement needs some work both music and drill execution. Overall it looks good but it could be so much better...flags could use some work noticed they were off alot.